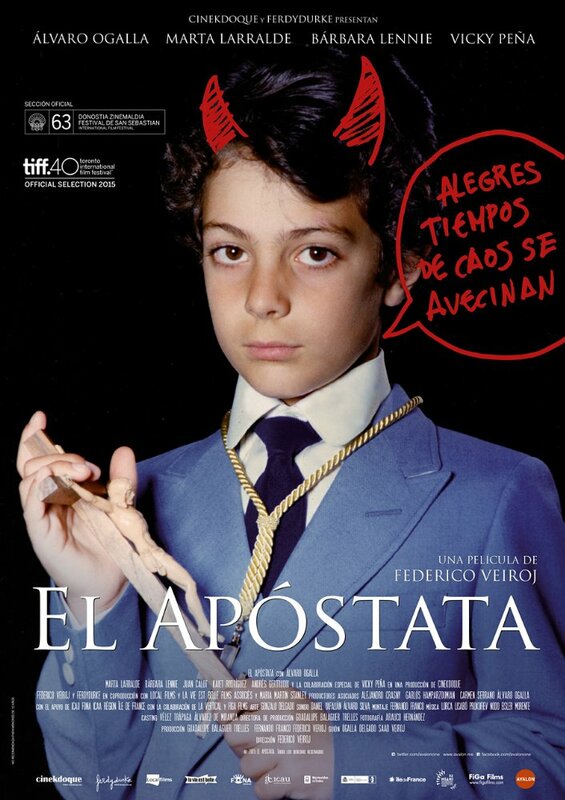 This week’s installment of the good, the bad and the ugly had us reviewing Spanish/Uruguayan film El Apóstata (The Apostate), which bills itself as, “an existential comedy of a Spanish man trying to apostate from the Catholic Church.” The film, directed by Federico Veiroj, is running at the Gene Siskel Film Center until September 22nd (tickets here). Big thanks to Diana Delgado at the Film Center, for always reaching out and keeping us in touch with the latest Latinx films. If this is your first time reading this series! The categories are GOOD, as in good-good. BAD, as in Michael-Jackson-Bad or Michael-Bay-Bad. UGLY, as in Donald-Trump-Ugly. GOOD: Hella original. In the age of superhero movies it’s tough to be pitching existential-religious-comedies to investors. The lead, Álvaro Ogalla, also co-wrote the film, and called it pretty true to his life—which is kinda weird because in the film he marries his cousin. There is a heavy absurd touch to it, and you can almost pin-point the moments where the creators of El Apóstata were influenced by legendary surrealist filmmaker Luis Buñuel. BAD (Jackson-Bad): Most entertaining in this film was the music, specifically its whimsical personality juxtaposed with Álvaro Ogalla’s laid-back, even lazy, portrayal of the lead. The music is something you would hear in Walt Disney’s earliest films; it almost doesn’t fit, but ends up blending nicely with the visual splashes of absurdism. UGLY: In the plot of the movie, Alvaro Ogalla’s character wants to withdraw his name from the Catholic Church registrar. He is disillusioned and wandering, but wants to take up this arduous task of withdrawing his name as a project. Through the film you don’t feel that the stakes are very high; it relies heavily on dialogue that can be entertaining at times, and at other times drawn-out and hard to follow. Overall, the film is still a good time. It reaches into the past, for me—I forget some people are still religious—and draws on new ideas about our data-driven world and getting off the grid. Thanks for reading y’all, get out there support our Latinx artists, and stay tuned for the next round of reviews.